Looking for Someone to Design Your Site? 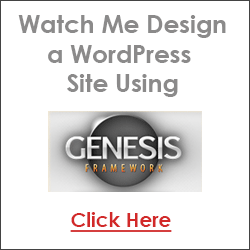 Need Someone to Design Your Site? Home >> Web Design >> Need Someone to Design Your Site? I get a lot of requests from people who want me to design their sites. Please understand design is not my specialty. In fact, the reason I created this site was to teach you the basics so you can build a site on your own. After all, that's the best way to go. It's cheaper and more importantly, you'll have the freedom and control to do more with your site. You don't need formal training or need a degree in web design to create a decent looking website. For every site I've created, I've purchased a template online (around $20 bucks) and edited the template in some web editing software like Dreamweaver. Templates are great because they give you the layout and design and then you can edit the colors, text, etc. as necessary. The framework is done for you and you fill in the blanks, so to speak. So I would highly encourage you to do the same. Even if you have plans to create a very large, complex site and you've decided outsourcing a professional web designer is the way to go, you still should plan to learn the basics of what you'd need to make minor updates. I don't think you should ever be fully dependent upon a third party, especially if you are creating a site for business or money-making purposes. 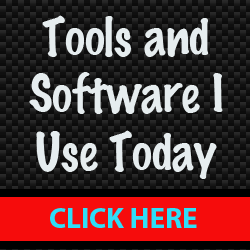 And if you are going to use Site Build It!, you don't need to buy any software because they provide all the tools you need in one place to create and maintain your site. You can also use FrontPage, Dreamweaver or any HTML editor with SBI! if you wish. And if you are looking for a designer but don't know anyone who can help you, I always recommend RentaCoder. You can submit a free bid request for your project and receive a quote from designers all over the world in minutes. You put the money in escrow (secured through PayPal) and pay the person when they are done. It's a very quick and affordable way to get your design done. Again, you should STILL learn the basics of web design once your site design is complete because you'll need to make the updates going forward. So don't be afraid of the website creation process. It's really not that bad. I'm no techy and feel my sites are pretty presentable. Grab a copy of CoffeeCup. It's one of the more economical yet user-friendly web design programs. Or if you're looking for a more robust program that will grow with you and you can use long-term, then I would recommend Dreamweaver. There are hundreds of free tutorials on both of these programs all over the Web. Just use Google to find them and you're on your way. Taking the time to learn the basics is one of the best gifts you can give yourself as a startup Webmaster.